The MM-AUX is a Machinist Mate (MM), assigned aboard a Navy submarine, who specializes in maintenance and repair of auxiliary equipment. MM-AUX are specialists that work to maintain and operate the different submarine mechanical systems, and non-nuclear related operations systems in air, refrigeration, hydraulic, atmosphere control, diesel and plumbing systems. You cannot get a guarantee for this rating. You can volunteer to become a Submarine Machinist Mate, and you are assigned to either MM-AUX or MM-WEP (Machinist Mate for submarine weapons) during the training pipeline. 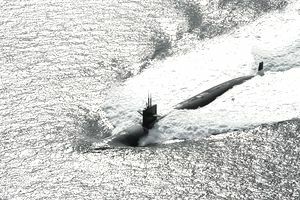 There are also nuclear-trained Machinist Mates aboard Navy submarines. tracing mechanical/electrical circuits on schematics and drawings. Machinist's Mates (Submarines) work within, and external to, the hull of a submarine in engine rooms or shops that are sometimes hot, noisy and dirty. Their work is sometimes physical, and they must be able to work closely with others as well as alone with limited supervision. Note: Following MM A School, students go on to either the Auxiliary Pipeline or follow-on Weapons courses. Must have no record of conviction by civil court for any offense other than minor traffic. Moral turpitude offenses are generally disqualifying. No history of drug abuse. Note: Advancement ( promotion ) opportunity and career progression are directly linked to a rating's manning level (i.e., personnel in undermanned ratings have greater promotion opportunity than those in overmanned ratings). What Is a Gunners Mate (GM)?